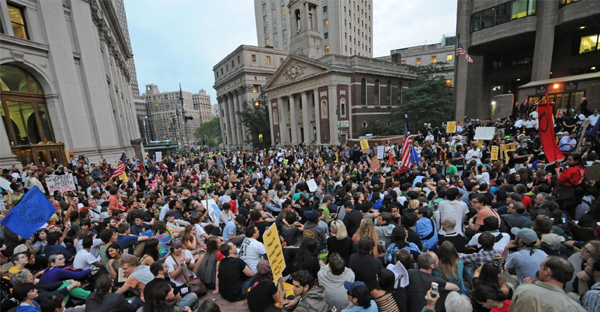 Live from: Occupy Wall Street, the mass demonstration on Wall Street against financial greed and corruption. A wave of thousands. I repeat, * we are not our credit reports! An economy based on balance and peace. For SURE! I think that would be GREAT! As always – AMAZING! Lets turn this into a news story parody!